This third image is also from the Picasa download. It's a view of the railroad bridge west of the Hiram Chittenden Locks, from the Commodore Park side. 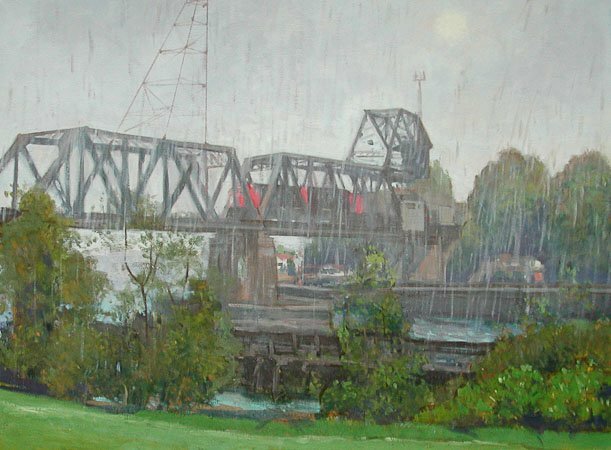 The painting went through many changes; it was one of those variable seasons that Seattle is known for. It ended as a rain painting. This is another of the images that I had stored on Picasa (Google Photos.) This was done at Bob Pepper's Farm, on the Snoqualmie River. I was with Henk Pander at the time, who is painting with his elaborate watercolor setup just off canvas. His setup includes two medium sized folding card tables, and he works on large, oversize watercolors. 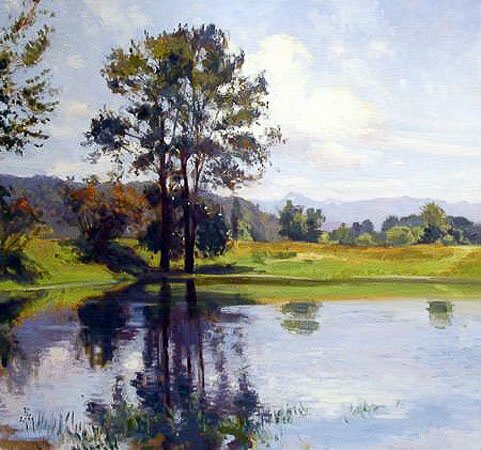 This painting was done in the later years that I was painting at Pepper's Farm, on the Snoqualmie River. The only image that I have been able to find of it was uploaded several years ago to Google Photos, when it was still called Picasa. The painting is 36 x 36 inches. The Picasa image is about 500px, not very big. It was sold not long after it was finished, through Woodside/Braseth Gallery. I do not know its current whereabouts. This is a work-in-progress, a painting that has been chased all over the place over the past year. The main problem is that the City of Everett neglects to trim back the foreground, and I keep having to shift my point-of-view to see my subject. 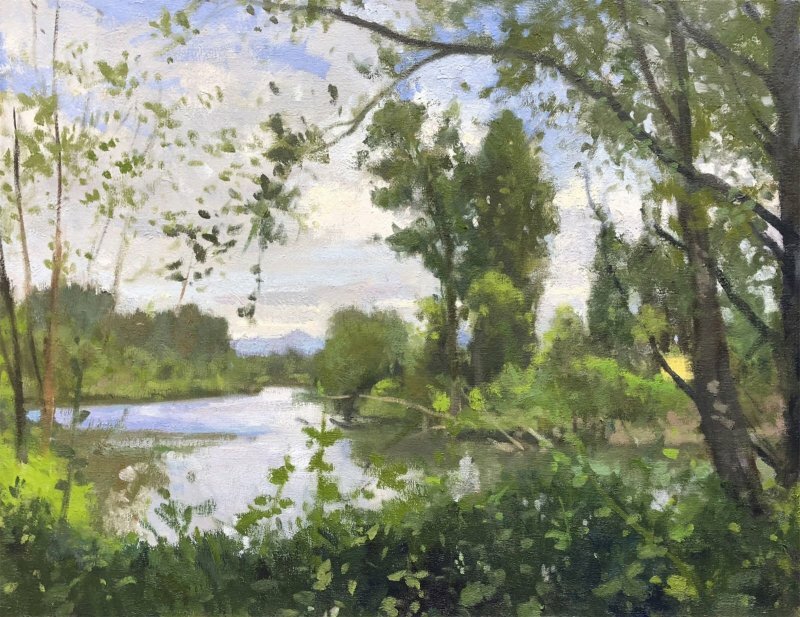 By summer's end I suspect that the Snohomish River will no longer be visible, and I'll just be painting a profusion of jungle à la Le Douanier Rousseau.